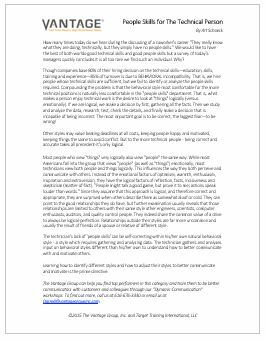 Free Resources | The Vantage Group, Inc. Following is our growing list of free resources in Adobe Acrobat available for your use. Please review the summaries to see which documents interest you. 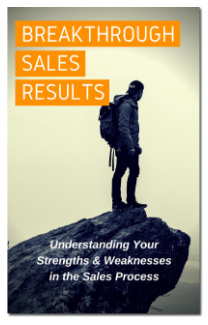 Employee survey research frequently describes leaders as being good at setting “highly aggressive stretch goals and targets;” however, consequence management and development are generally distinct weaknesses. 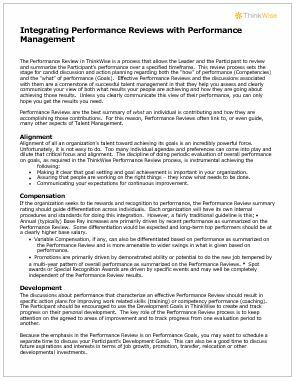 Few companies or even individual leaders are seen as doing well at creating clear links between performance and consequences, or providing coaching to under-performers. 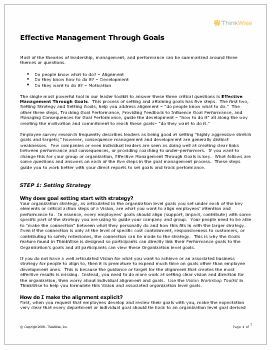 If you want to change this for your group or organization, Effective Management Through Goals is key. How many times today do we hear during the discussing of a coworker’s career, “They really know what they are doing, technically, but they simply have no people skills.” We would like to have the best of both worlds — good technical skills and good people skills, but a survey of today’s managers quickly concludes it is all too rare we find such an individual. By not living in a constant state of urgency, you’ll become more focused on your priorities. Everyone is so pressed for time. In spite of claims to the contrary, our time-saving technology adds to the pressure. Time management used to be the solution. 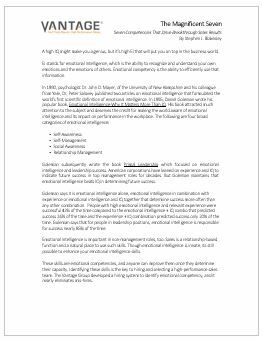 But time management focuses externally on solving time-related problems. 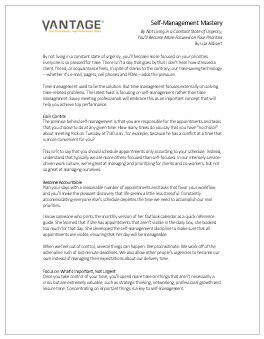 The latest twist is focusing on self-management rather than time management. 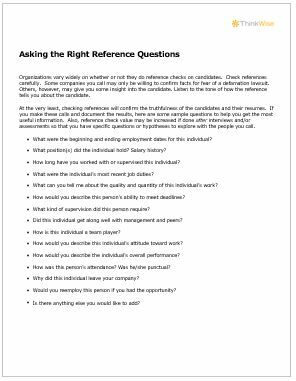 Organizations vary widely on whether or not they do reference checks on candidates. At the very least, checking references will confirm the truthfulness of the candidates and their resumes. Here are some questions you can ask to get the information you need. 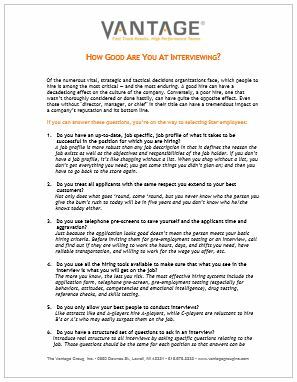 HOW GOOD ARE YOU AT INTERVIEWING? 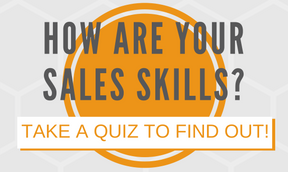 If you can answer these questions you’re well on your way to selecting top performers. 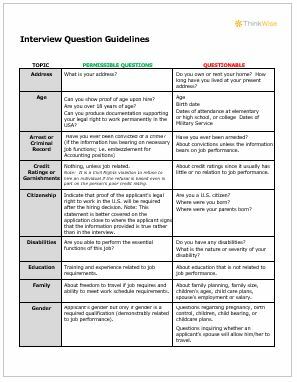 Guidelines for permissible questions and questions you should steer clear of in interviews. Effective Performance Reviews and the discussions associated with them are a cornerstone of successful talent management in that they help you assess and clearly communicate your view of both what results your people are achieving and how they are going about achieving those results. 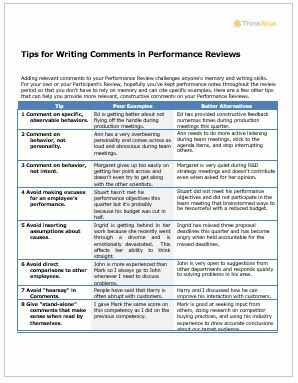 Adding relevant comments to your Performance Review challenges anyone’s memory and writing skills. For your own or your Participant’s Review, hopefully you’ve kept performance notes throughout the review period so that you don’t have to rely on memory and can cite specific examples. 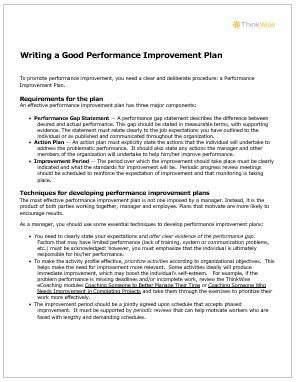 To promote performance improvement, you need a clear and deliberate procedure: a Performance Improvement Plan. 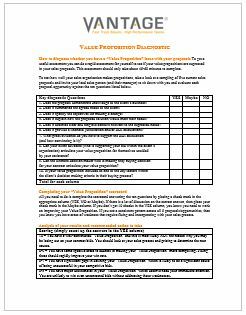 Try a Free Leadership Assessment!